It's no secret that I LOVE me some Matilda Jane. A lot. 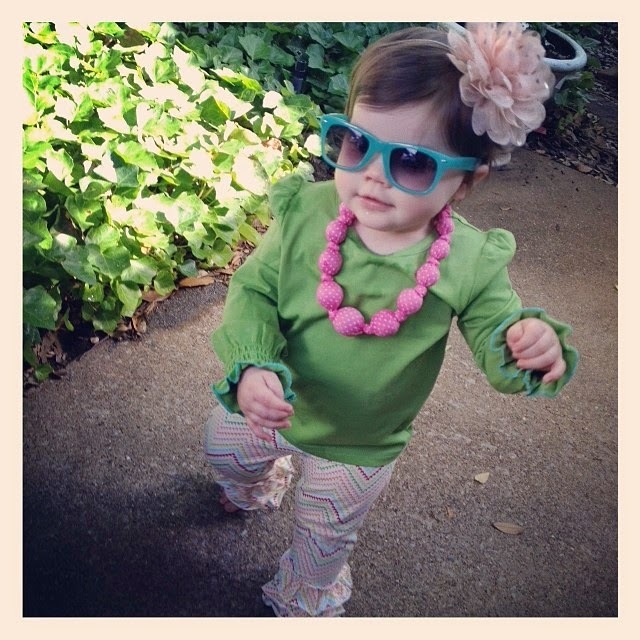 So you have to know how OVER THE MOON I was when Matilda Jane sent me the outfit below to review! I mean. Stop. It. The colors are perfection, the quality is unmatched and the cuteness factor is off the charts. The bennys are thick without being hot and the fabrics mix and match well with other pieces we have. She'll be able to wear this outfit now as well as well into the Fall with a layering shirt or denim jacket. I'll be totally honest - what initially attracted me to Matilda Jane were the ruffle pants :) But what I soon found out was that (GASP!) you could get ruffle pants from LOTS of different designers. 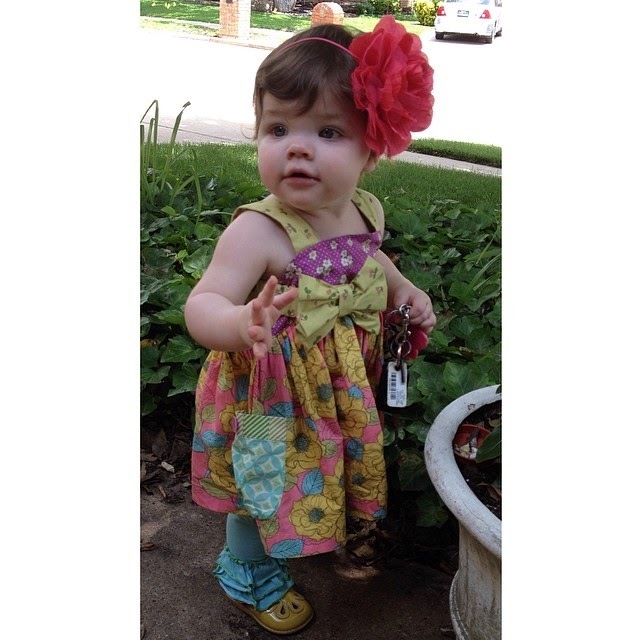 What I think sets Matilda Jane apart is the quality, comfort, whimsy and versatility. 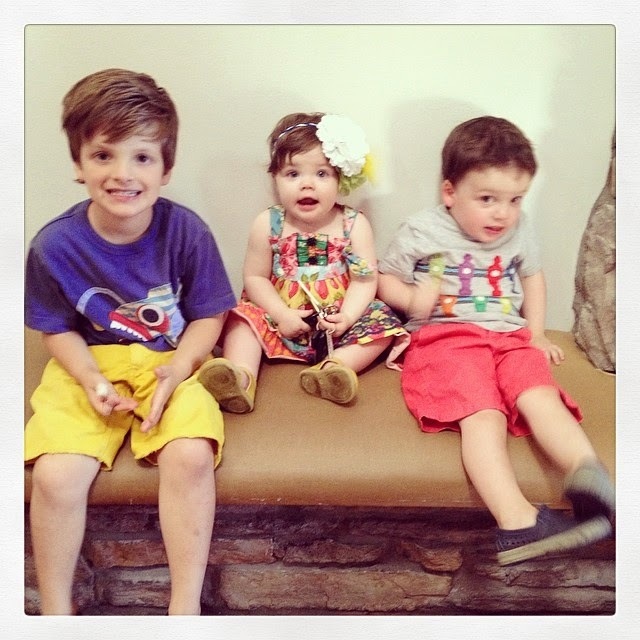 I was used to buying my boys a shirt in their current size, having them wear it one season and then passing it along. Matilda Jane has rocked my world. It's a dress with bare arms and legs in the Spring, and then BAM - throw a layering shirt and leggings with it and you're info Fall/Winter and then she can wear it as a top AGAIN the following Spring! It's crazy, y'all!!! For example... here's G in the EXACT SAME top last Spring and this Spring. I want Griffin to be a little girl for as long as humanly possible and I love that Matilda Jane helps me do that. She looks cute and sweet and girly. The details are impeccable and the fabrics are great quality... soft and vibrant. She wears MJ almost daily - errands, play, babysitters house, Church, out to dinner. Everywhere. In case you're curious, I talked about mixing and matching HERE and I talked about my LOOOOOOVE of the Mama pieces HERE. I've found that the clothes wash beautifully (I lay them flat to dry!) and we get compliments everywhere we go :) Maybe you're an MJ Addict or maybe this is the first time you've heard of it! Either way, how fun would it be to win a FIFTY DOLLAR MATILDA JANE GIFTCARD?!?!?! Love these clothes! They would look so adorable on my baby girl. LOVE MJ! My daughter has a lot of pieces and I'm just starting to get into the mama pieces as well! Yes... a MJ newbie! 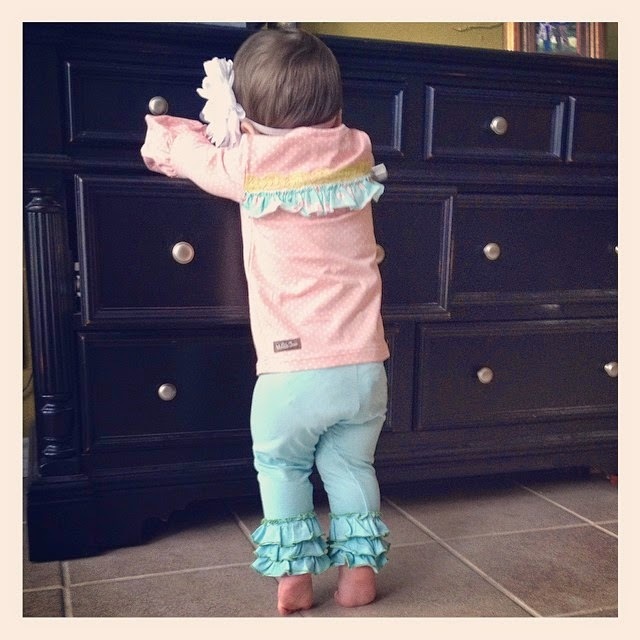 Love love all the ruffle pants! So cute!! I'd love to win a gift card to try their clothes out! I have a 2 year old daughter who I would love to buy a cute outfit for. We have never worn MJ but have lots of friends who do. We wear alot of Jelly the Pug though:) Super cute stuff, glad to see that it can be worn for mutltiple seasons as it's pricey, but I do agree it seems like great quality. Thanks for the giveaway!! Griffin needs to be a MJ model. Who do we need to talk to about that? Seriously!! I love the Mama MJ and I am hoping I have a little girl soon to buy the girly clothes for!!! Griffin always looks fabulous in them! Loved it for years!!!! I have two to dress so this would be a blessing!! Pick me, pick me!!! LOVE Matilda Jane. Maybe too much. But it's pretty much the only brand of clothing that my stubborn 4 year old will wear without a fight and I LOVE how unique it is. 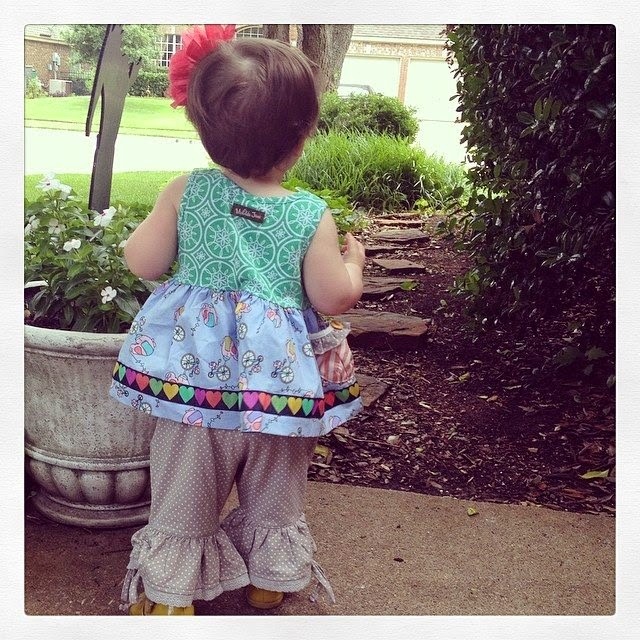 I had never heard of Matilda Jane until you had Griffin, and I love the fabrics!! 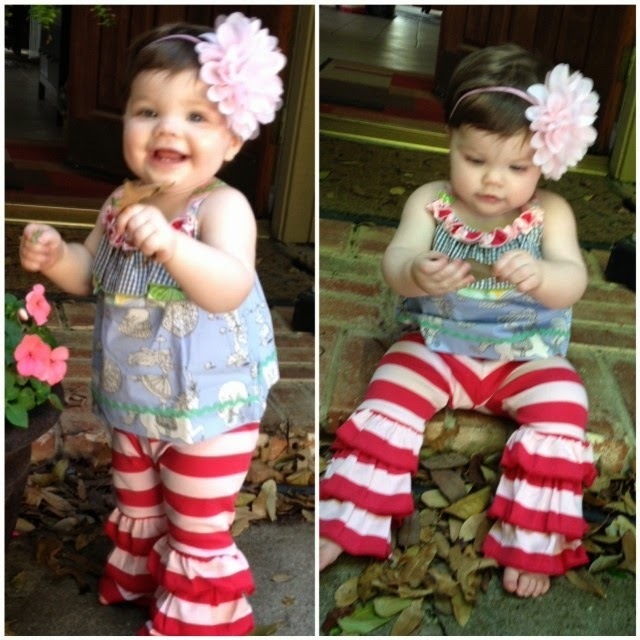 I'd love to try a pair of the ruffle pants for my daughter - she'd be a newbie! I have loved MJC for years! I have 2 daughters who are 3.5 years apart and they can actually share quite a few MJC pieces! It's the best! Griffin is rocking that MJ! I am a MJ newbie & would LOVE to win this gift card to try out some stuff!!!! The top that you show Griffin wearing her first spring and then this spring...what size is that? What sizes are you currently purchasing for Griffin. I don't know if you remember but I ordered something from your one party for my new grand baby...and oh.my.so pleased with it....it's darling but the quality of it is so much better than some of these other "boutique" brands we have found.....first grand baby so we are just getting into all of this........anyway, I love ordering something that you can wear for so long but I just don't have a feel for how to do that.......if you could share sizes that you are purchasing for Griffin now, it would be helpful. Thanks so much!!!! 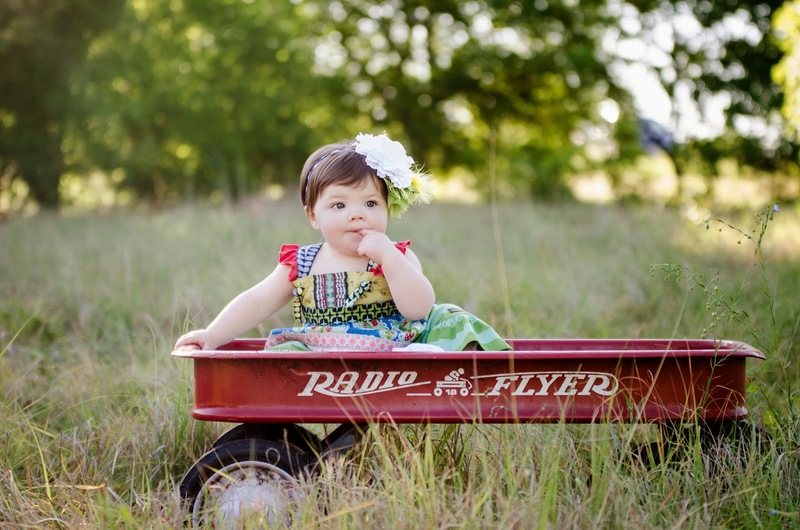 I have never heard of Matilda Jane, but these clothes are super cute! I have heard about MJ for a couple years but have never actually bought anything. Time to fix that! 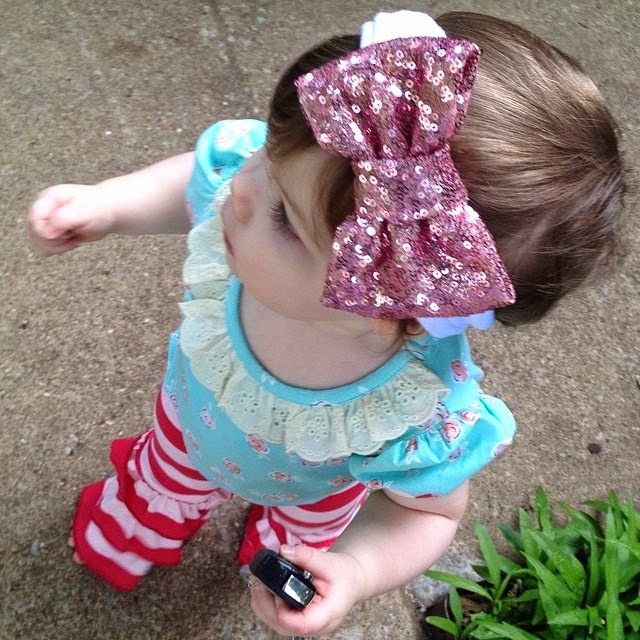 My daughter is 6 months old and I don't know HOW she has gone this long without ruffle pants! Love!! 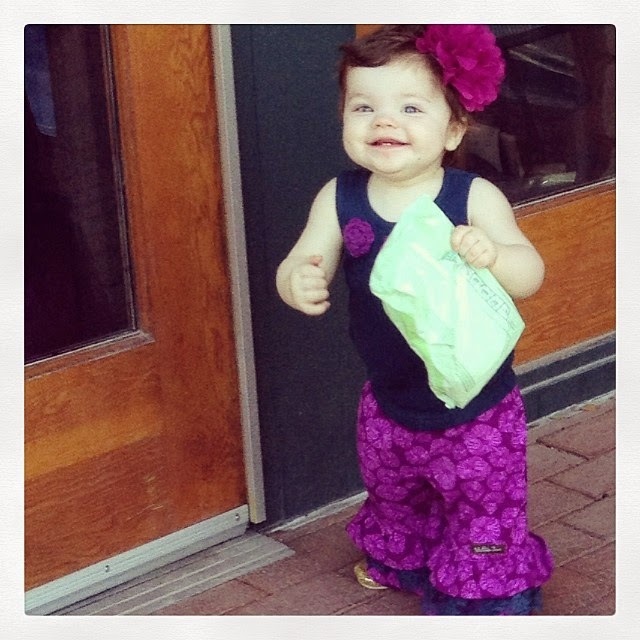 I don't know how my 6 month old daughter has gone this long without ruffle pants!! Love! I have never tried MJ, but G looks so darn cute I think my little one would too! Love MJ! Cutest clothes around! MJC addict over here. Now seeing your blog, I realize I need to buy more of WP than I did! LOVE MJC! I love that last pic of your family's feet. SO cute! We are MJ addicts. Love getting to know other moms like me! I'm sort of new to MJ, but I can already see why so many of you are addicts! My daughter loves the softness! Love MJC! So much cuteness! We love MJ too! The dresses are beautiful and we love the comfy cute shorties/ tanks too! I love MJ. 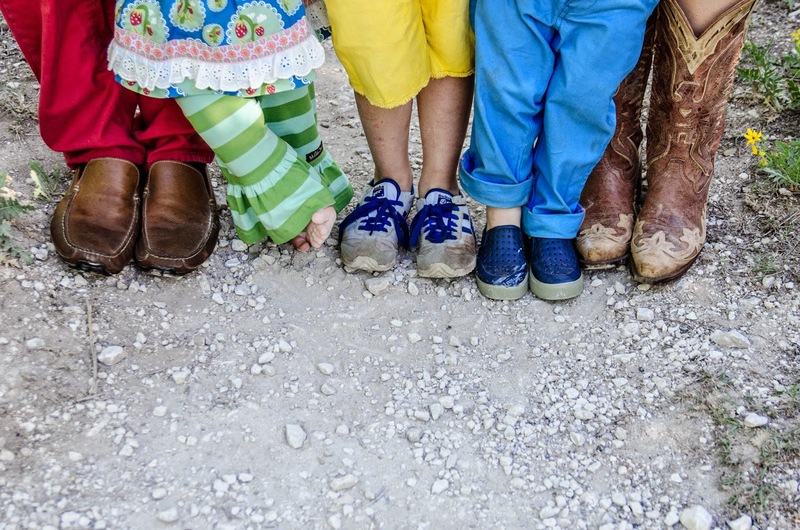 You can be bright colorful and crazy or more subtle and toned down. The style option is totally your own, and I think that is wonderful. I also love the whimsy of the patterns. It adds play, joy, and imagination to my little dreamer's days. Love, love, love MJ as well! My daughter is 9 so she isn't as into it as I am but she always gets compliments on it! So soft and my favorite part is the versatility. It goes from season to season. Long ruffle pants go to capri ruffle pants the next season after a growth spurt! Such a bang for your buck and not to mention the cuteness level! 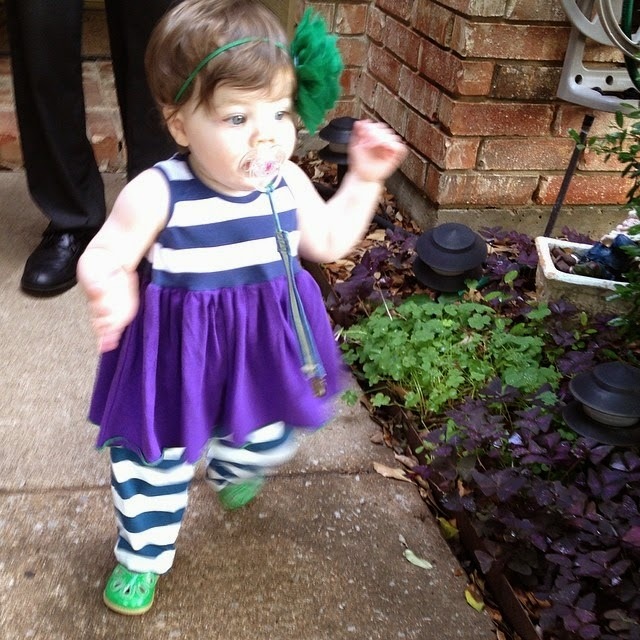 Love seeing Griffin in her MJ!! I had not heard of MJ before following your blog, and I love seeing all of Griffin's looks! She is too cute. We have not gotten anything for my daughter yet, but I can't wait to get her her first outfit. I am a MJ newbie and have two girls who would look darling in some!!! I am a MJ newbie and I would love to get Miss Ellie started with a little cuteness!! I am a MJ newbie and would love to get Miss Ellie a few new pieces of cuteness! love love love MJ!! Griffin is so sweet in all of it... i have a 4 year old that i still like to put in MJ! We don't currently own Matilda Jane. After seeing your posts, I am scared to start since everything is so darling! I am currently getting together an order as we speak. My daughter has been wearing MJ for a year and I love that the material is soft and comfy, but also really cute! I also like the fact that she can wear it for a few seasons before it's too small. It's worth every penny! My baby girl is due any day now and I haven't bought any mj yet, but plan on doing so soon! I started buying MJ a few months ago, but I have built up a nice collection. I love how cute the clothes are and really enjoyed seeing all your outfit combinations! Looove MJ! Only have 1 piece but would love to add another! I am super jealous of Griffin's MJ wardrobe! I am currently pregnant with my first...a little girl. She already has a few pieces in her closet! We have been wearing MJ for a few months now. It is easy to get addicted to! I loved seeing all of your outfit combos in this blog post! 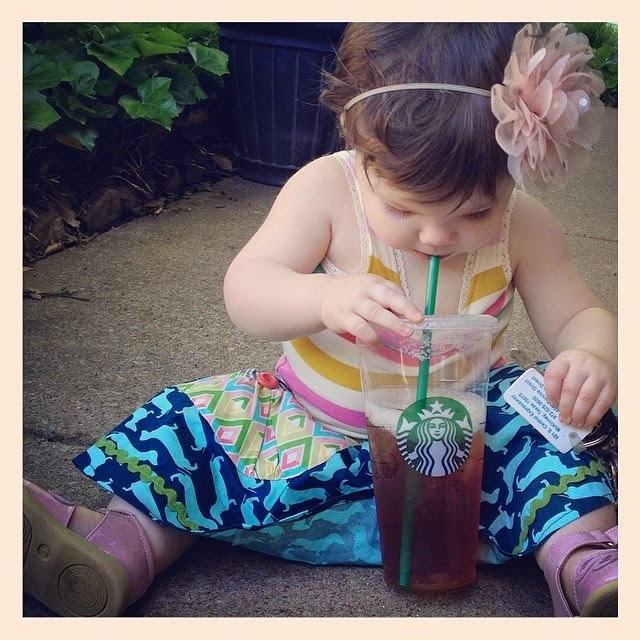 I've never had any Matilda Jane, but would love it! My daughter is 3 and we only have 3 MJ dresses but they are our favorite! Wish we had Griffin's wardrobe!! I have a three month old little girl and I am SO in love with Matlida Jane! 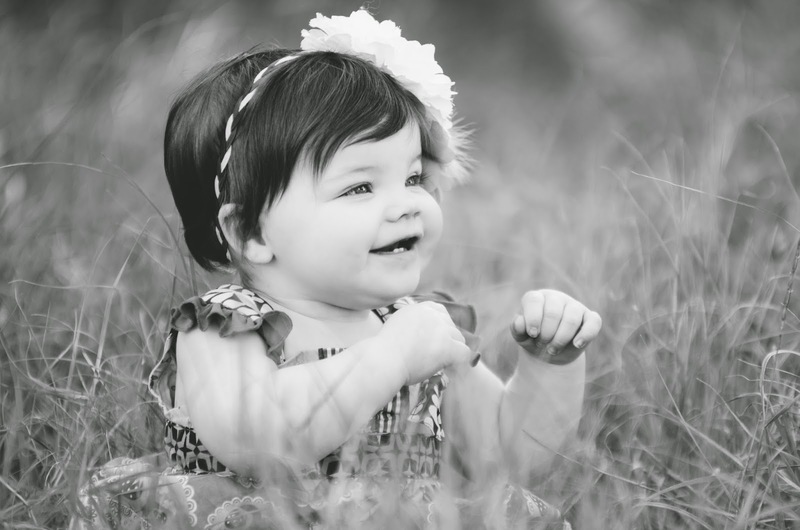 We recently had our family pictures in her first Matilda Jane outfit! 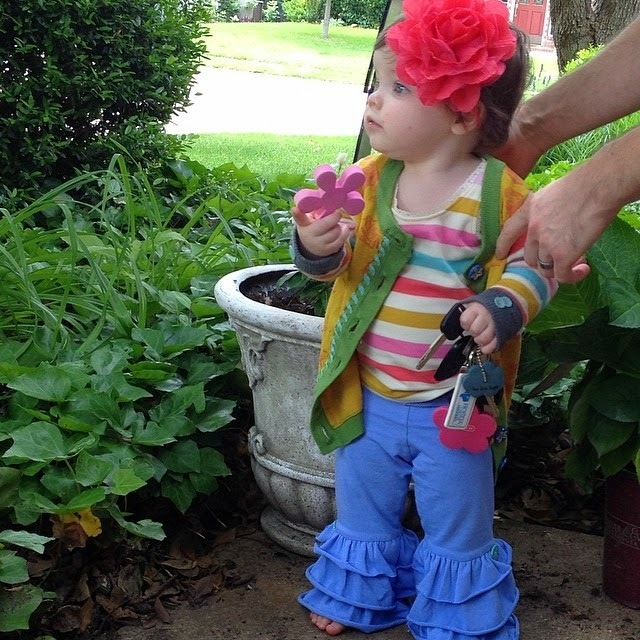 I can't wait for fall here in Illinois for her to sport some ruffle pants! 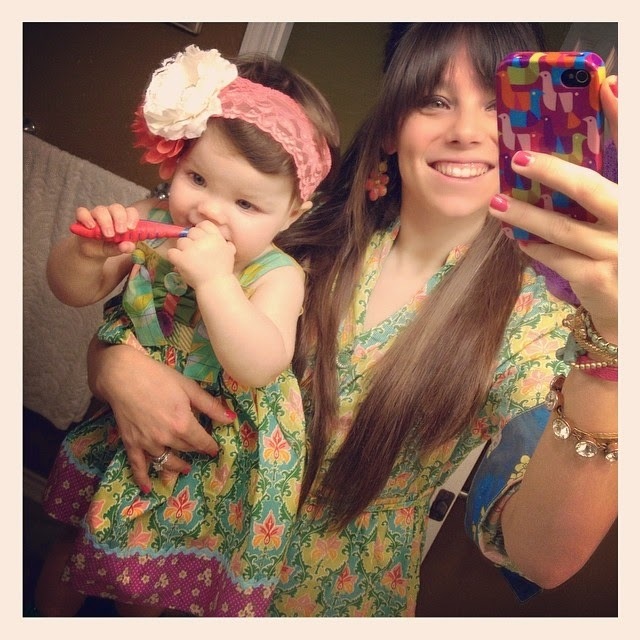 I am a teacher and this mama loves to wear her comfy Matilda Jane ruffles to work as well! I have included the link for our pictures below! I love MJ! No kids yet so I buy for me to wear! Love the quality of their stuff. I love MJ and now that I have a sweet niece it is game on! I just bought my little girl 5 or 6 pieces from the current line. Love it!! Can't wait for more. Just recently bought my first mj. I love MJ for me & my daughter. I love an ellie like no other! I've never bought MJ for my little girl, but I would love to try it! Everything looks so cute! I'm a newbie! Their stuff is so cute though!!!! Will definitely be making purchases! I too dream of the day that I will hopefully have a little girl that i can dress in MJ but for now i will be an MJ addict myself. Your little girl is too cute by the way! 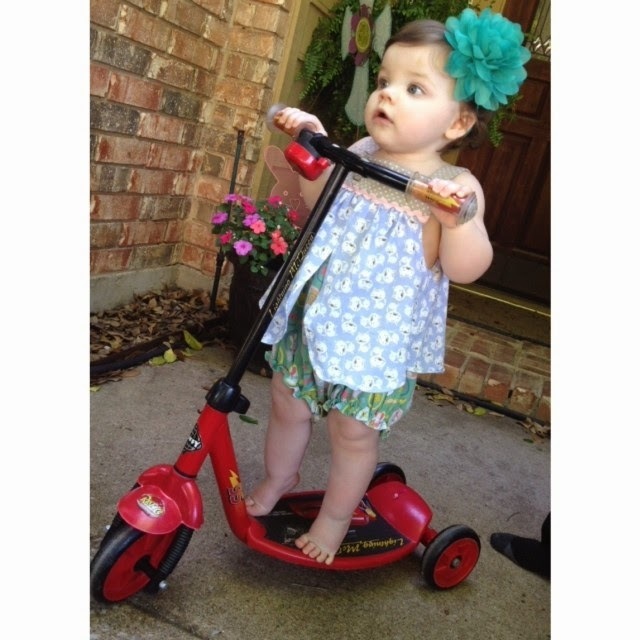 Completely new to Matilda Jane! I've been wanting mommy and me MJ for a while!! Love the Leah and Betsy <3! Long-time MJ fan for my 5 year old daughter (and myself! ), but newish fan of your blog! That Griffin is a DOLL! I've been a fan for a few years! They have the cutest clothes. I am an MJ newbie, I have always thought their clothes are the cutest ever but have never bought any. I think the price is what holds me back but reading and seeing that they can be worn for basically a year or more has perked my interest. You know kids outgrow their clothes so fast but this is genius! My grandaughter is 19 months old and wears MJ only! My daughter and I are hooked and she is adorable in these clothes. Thank you for introducing me to Matilda Jane! Well said! Many of the reasons why we love MJ too! Well Said! These are many of the same reasons we love MJ too! I had my first little girl last August and I have yet to try MJ stuff. It looks so cute but I just can't get over the price tags. I do love that it's quality items that would last a while. I need to just take the plunge. I'm a newbie. :) Your blog introduced me to MJ. Cute Stuff! Reminds me of www.naartjiekids.com a little bit! I recently became a fan of matilda jane. the first dresses I received were gorgeous and SO WELL MADE. I would be a totaly newbie, but Miss Ella has been really into ruffly, girly outfits lately & I know she'd love some Matilda Jane! 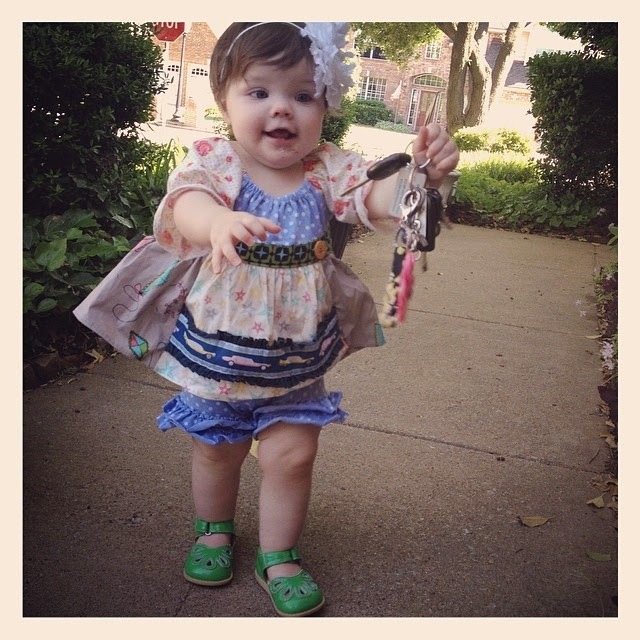 Matilda Jane has the cutest outfits, so adorable. Thanks for the giveaway! These clothes are adorable, but I've never purchased any MJ myself. I loved seeing your little model in all the different outfits. Griffin is so darn cute!! I am new to MJ..but already obsessed! Would love to win and try some items! New to it, and just think all the pants are adorable!! Super new to MJ- but absolutely love everything about it. Just had my daughter in March, Sawyer Elizabeth, and I am dying to get her into so MJ! Just bought my first 4 pieces of Matilda Jane, and I love them!!! 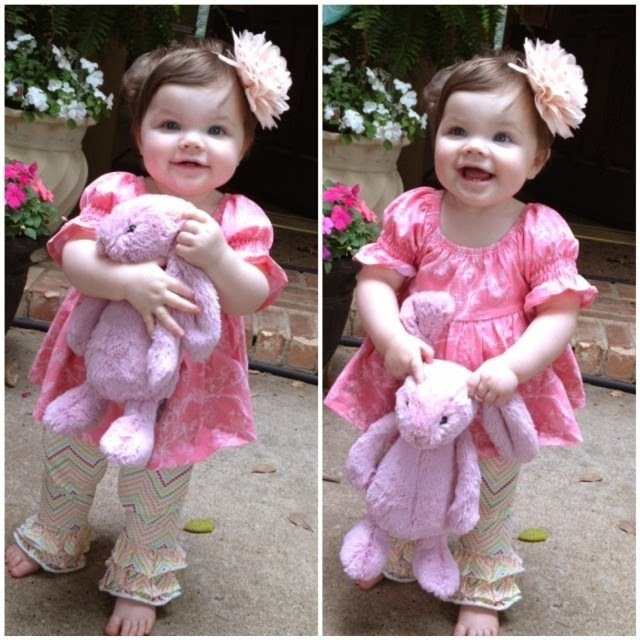 Love those ruffle leggings, too cute! I just bought my first 4 pieces of Matilda Jane for my 13 month old, and I love them!! Would love to try Mj!! There outfits are so cute! MJ addict! 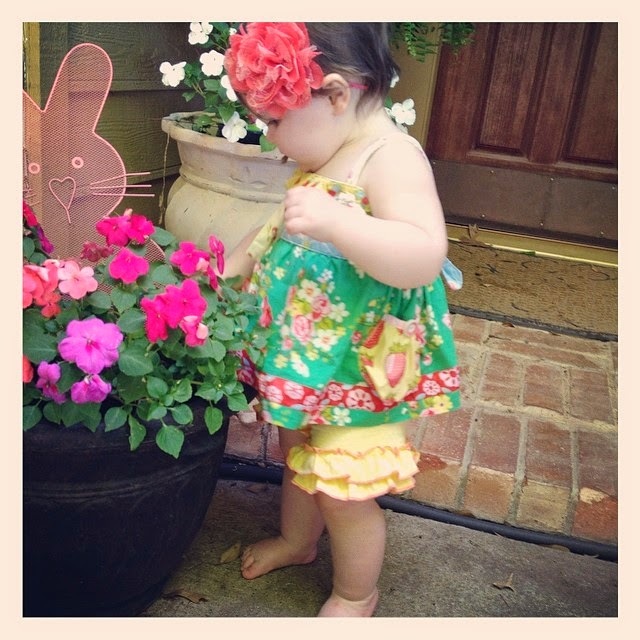 I love to dress my little girl in MJ and the pieces are versatile and the options are endless! Love! MJ Addict! Love the versatility and the pieces transition from season to season! I'm an MJ addict too. Love love their clothes. They hold up better than anything else I've ever bought. We recently started our mj collection! Love love love their stuff!!!! I have a couple of pieces but would love to have more!! I am a newbie! I have stalked it, but haven't bought it. Fingers crossed! 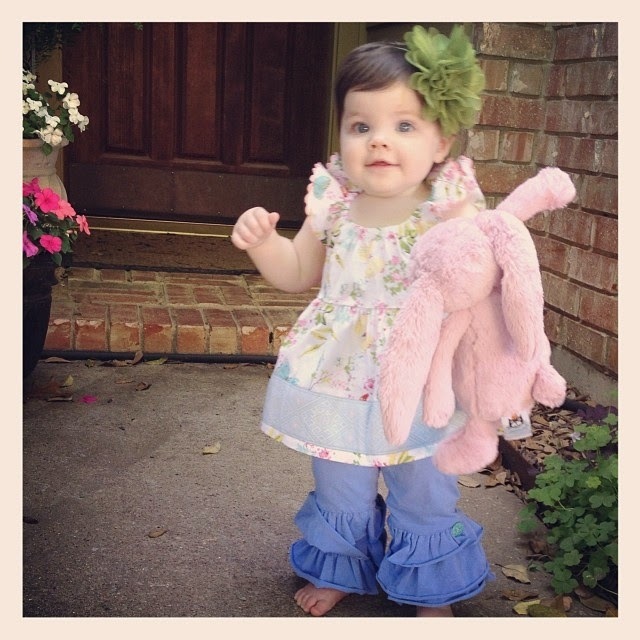 I love Matilda Jane and want some ruffle pants for myself! Griffin is adorable! We have been wearing MJ for a couple years now and I am completely obsessed. You just can't have too much MJ, am I right? We only discovered MJ about 6 months ago. However, I was immediately hooked! Now about 95% of my 13m old's clothes are MJ. We LOVE it! love her wardrobe! Love MJ! I would love to win this gift card! I would pick out the very first MJ outfit for the little girl a nanny for. Brand new to MJ but love their stuff! I've never bought MJ for my daughter, but would love to try one of their dresses! Huge addict here too! Would love this! Don't have a little girl myself yet, but my friend is being induced today and is having a little girl! I would love to get her some super cute mj stuff! I had three boys before I had my little girl and I swore to my friend I wouldn't get sucked into MJ. Yeah...obviously didn't happen and we are hooked. Now that same friend is telling me it is time to buy some mama pieces for me! MJ newbie. I have admired for a while--just never purchased. I would dare to say I might get myself something instead of my baby girl! LOVE MJ as well! I'm fairly new to it, and having three girls, I adore the versatility of the clothes. I can buy a knot dress one season, and let my little ones wear it as a top with shorties the next! It's a perfect way to get your money's worth out of the amazing outfits! Love MJ and the versatility of their clothes! As a mom of three girls, I can't get enough of how the clothes transition from one season to the next. 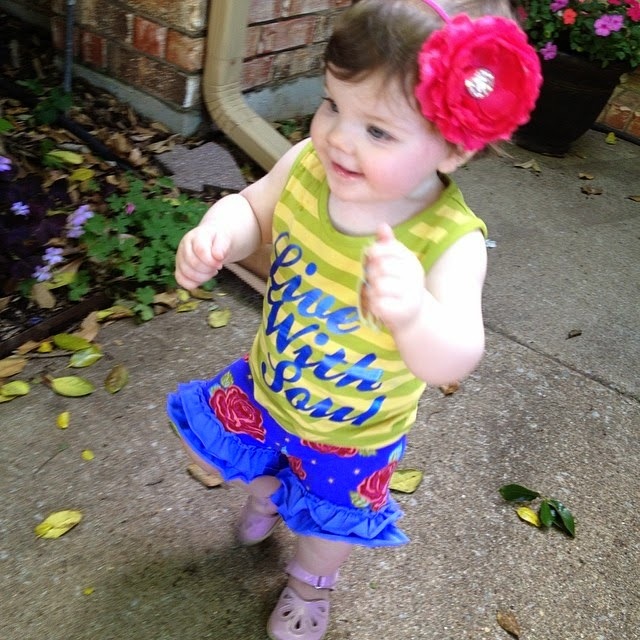 I am a Matilda Jane newbie. I would love to win this for my little princess! So excited! My little girl definitely needs a Matilda Jane outfit!! Oh, those toes! 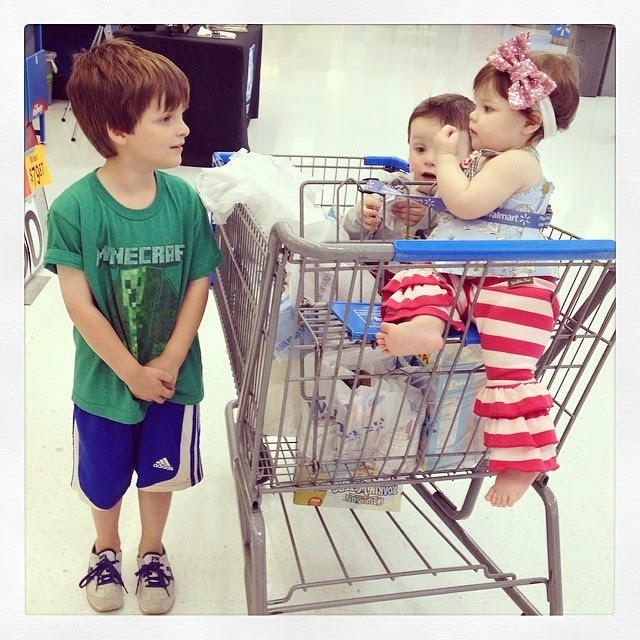 Your babies are so sweet. I would love to score me a few dresses with that gift card - and maybe some of those awesome printed pants too! Great giveaway! Thank you for the chance!! My little Madison would love a MJ outfit! I can't wait to get Dakota some. I have heard about it, but don't really see it much around here (I live just outside of Chicago). Super cute clothes though and with three little girls, I need to get on board:)!!! Newbie! Loving the adult clothes, but can't wait to have a little girl and dress her up in these clothes! I love love it! 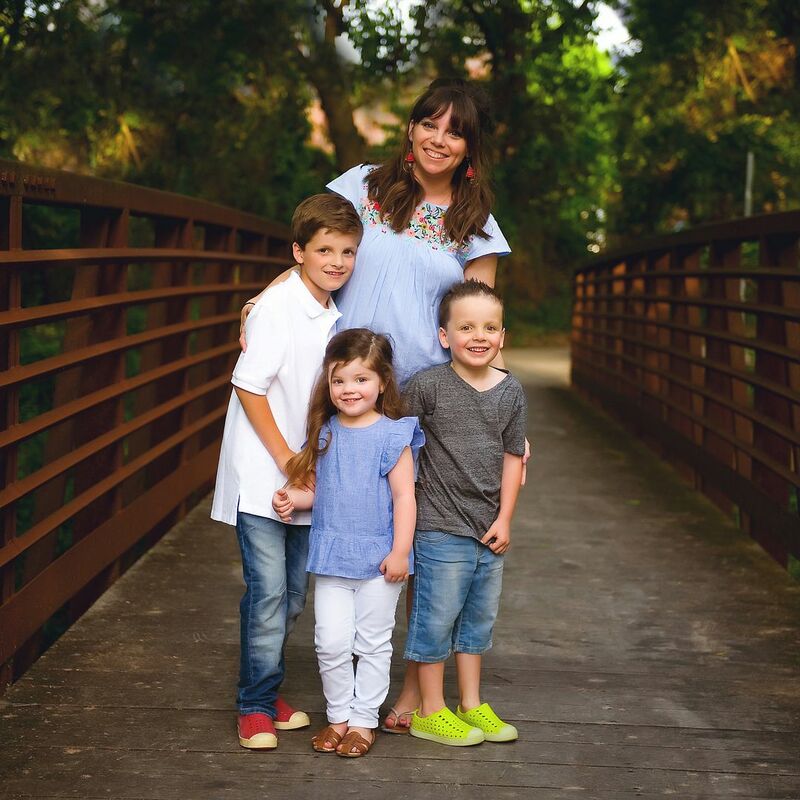 I have 3 boys, so I have been loving all of the ruffles and MJ mama clothes! Love! I would love to buy something for my daughter! I have 2 boys, then my girl just turned 2. I love everything about Matilda Jane! It's definitely a go to favorite here! I absolutely love Matilda Jane but haven't made the plunge of purchasing yet...I especially love the puppy cardigan! I love MJ... 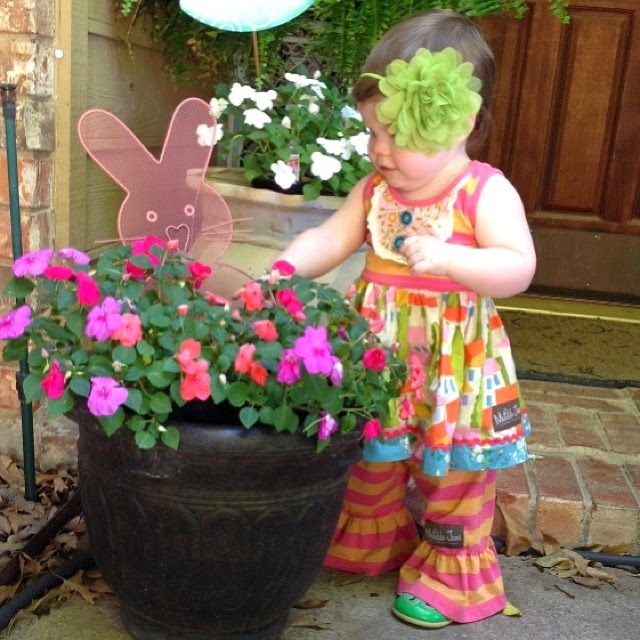 I smile every day when I get to dress my sweet & sassy girl in an adorable outfit. I plan her outfits in my head when I wake up! Now my 3 1/2 year old son on the other hand loves to pick out his OWN outfits so I realize I only have another couple of years before I don't get as much of a say in her clothes so I am enjoying them now! I'm due in November with my first and hoping its a girl bc MJ clothes are too stinkin cute! I have never heard of Matilda Jane before I started reading your blog. Would LOVE to win a giftcard!!! Thank you!! I love MJ! My 4 year olds favorite dresses are her MJ dresses. I've already started collecting pieces for my 10 month old for next summer! I've been dying to order something from MJ but haven't done so yet! Would love this gift card to help me ger something for myself! I would love to win a giftcard - my almost 4 year old had no MJ in her wardrobe!! Adorable stuff! Your daughter is the perfect little salesperson for MJ, her outfits are so cute. I adore MJ clothing! Griffin is precious! I love Matilda Jane-my girls have have 1 dress & they're 4 and 5 years old. Wish I would have known about their clothing years ago! My little girl is 16 months and doesn't own any MJ clothing. We live in New England and I just don't usually see it up here. But I started reading your blog a few months ago and have drooled over every piece Griffin wears! The quality just seems fantastic - not to mention the gorgeous colors and patterns. Everyone who knows me knows I have a not-so-secret love affair with the South and all things Southern...I would seriously just DIE if I won! Haha! what a great giveaway! My sweet Gracie would look adorable in a pretty MJ dress!! I love MJ clothing! Just had a girl three weeks ago and would love some MJ outfits for her! MJ clothing is the cutest! My 4 yr old melts my heart every time she wears her one and only MJ outfit. I'm jealous because I want one for me too! Thanks for the giveaway. 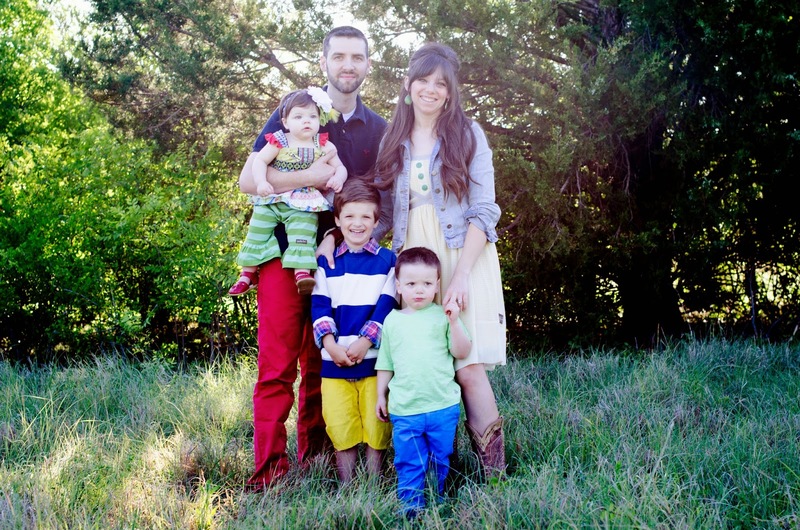 Love reading about your sweet family & love that you are a teacher, I am one too! 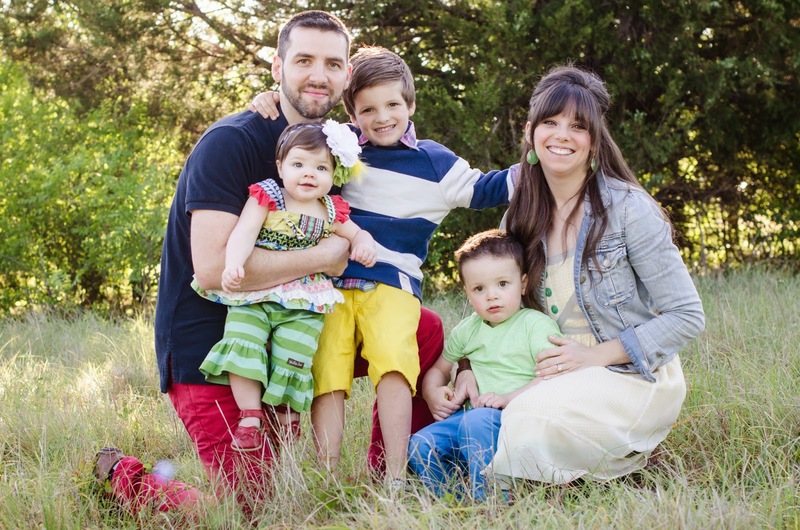 Love reading about your sweet family & you being a teacher, I am one also, enjoy your summer! I am a newbie to MJ....just bought my daughter some adorable ruffle shorties and I can't wait to purchase more and some goodies for myself!! I love Matilda Jane! If I could afford it we would have every item! I am a newbie! and love your yellow dress!! I'm an MJ newbie and would love to try these adorable clothes for my little girl. Hartley is 8 months old and I dreamed of having a baby girl for forever too! 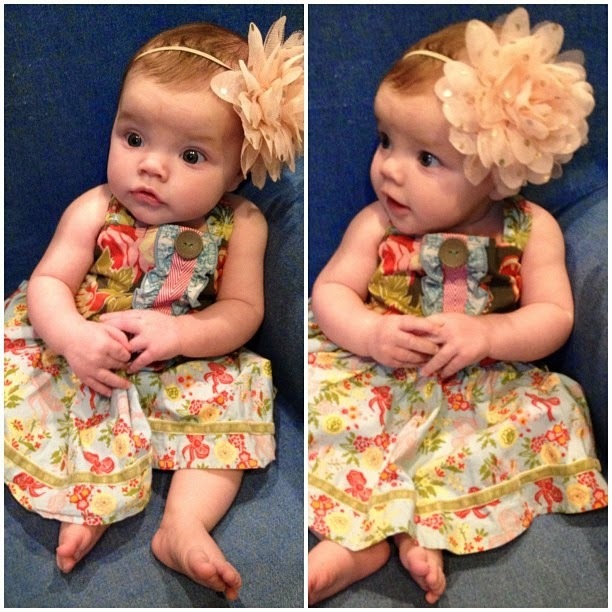 :) Love, Love dressing her up and Love the Jameson Monroe flower headbands!!!! I'd love to buy my girls their first mi dress. 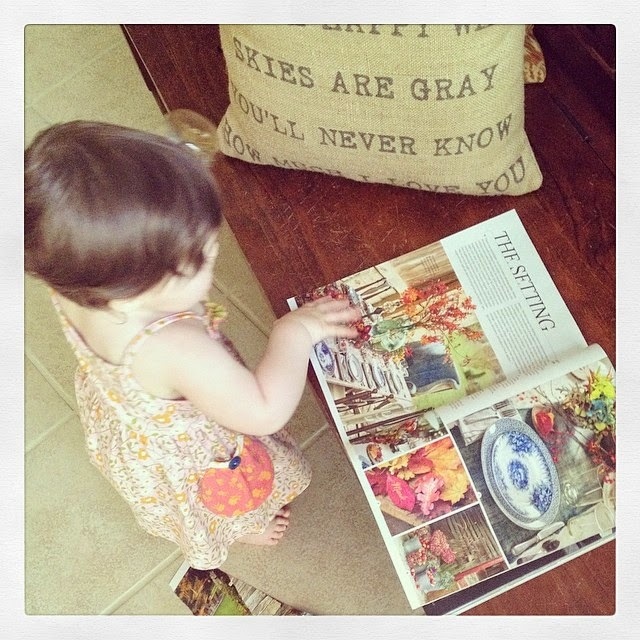 Love Matilda Jane and LOVE your blog! Both put a little sunshine in my day! Love love love MJ!!!! What a fun giveaway!!! Love Mj! I love how long a single piece can last and the color combos are unusual, eye catching, and fun. 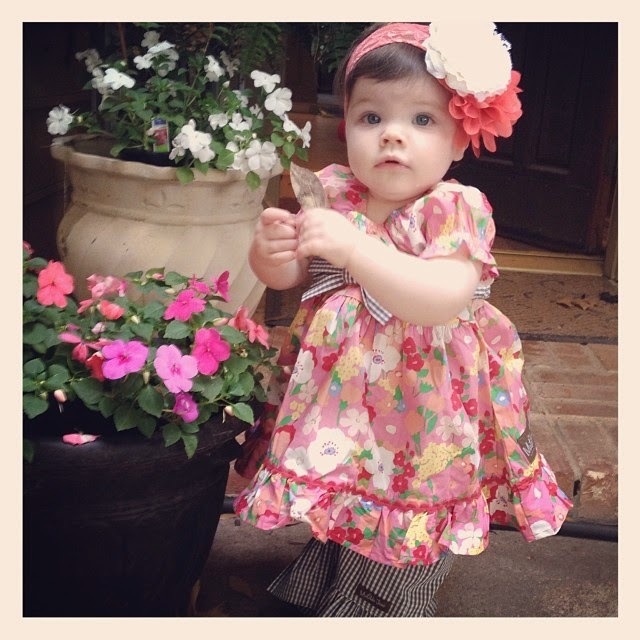 Would love to get some Matilda Jane in my little girl's closet! 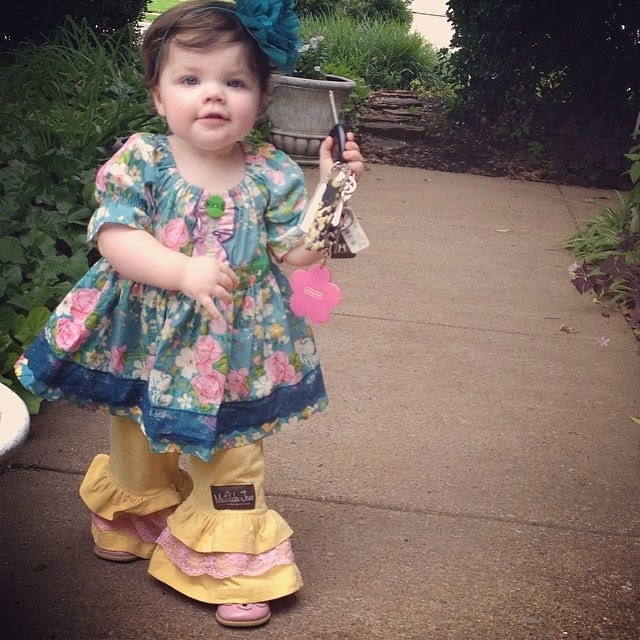 I would love to get Matilda Jane into my little girl's closet! I'm a newbie. How stinkin cute!!! I am a newbie to MJ and am already head over heels. ADORABLE! Im a newbie... can't wait to order something. I've been eyeing Matilda Jane for a bit now. Keeping my fingers crossed for the win so we can start our collection. I'd love the cake walk tank dress for my almost 5 year old. 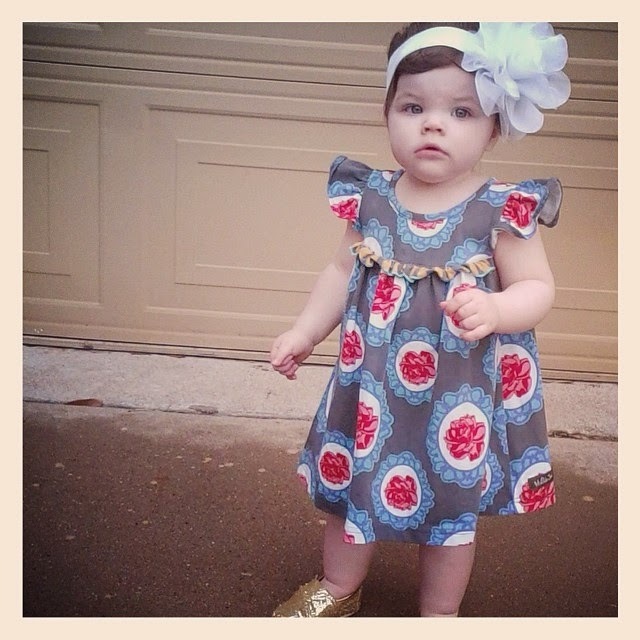 I recently bought a couple of outfits from Matilda Jane and fell in LOVE with them! I cannot say enough good things about Matilda Jane!! I'm addicted and I have you to thank for it :) I feel like I've finally found a line of clothing that matches my daughter's style and personality! My baby is only 4 months. I haven't ordered anything yet but I can't wait to try MJ on her!! My daughter is only 4 months. I haven't tried MJ yet but I can't wait to get it on her!! Love all Matilda Jane! My little girl would love some Benny's ! I've always loved MJ but don't have any yet! My little girl is 13.5 :( I'm sure that she wouldn't love MJ, I on the other hand would love to have a sweet little dress or top. Oh how I would love to try some!! It's adorable stuff!! I love that MJ has cute, age-appropriate clothes for my 6 year old. 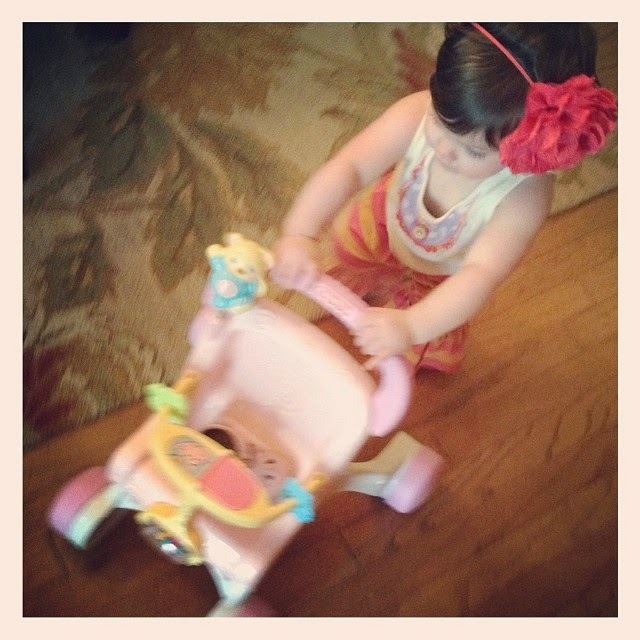 I'm finding that my usual "go-to" stores from the toddler/preschool era are now a little babyish for my big girl. MJ is so cute for this age! My favorite thing about MJ clothing is that my 6 year old can still dress like a little girl. So many other stores/companies are putting out clothes that are just too "old"! Love MJ! We have two boys and just found out we are having a girl this fall and I can't wait to dress her in some of these adorable clothes! I am currently pregnant with baby #3 a GIRL finally! I love this line and have been drooling over it but sadly I can't justify spending the money when they grow so fast. Thanks for the giveaway! Love all the outfits. 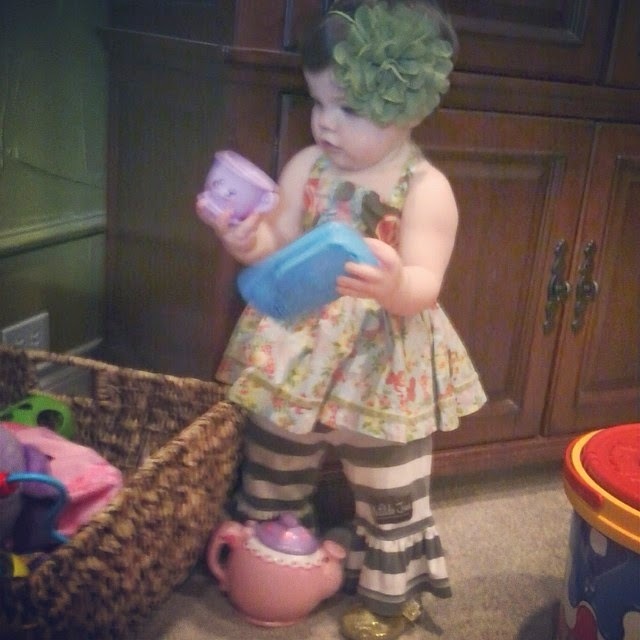 So cute. .
Love all the outfits...especially the ruffle pants!! I love these clothes! I had never heard of them before reading your blog! I'm a newbie to MJ and am addicted now!!! We love MJ. Shorties are the best summer shorts! Never tried MJ but you are cute enough to convince me! !